Nordic Harvest Mission is thoroughly engaged in missions. Our heart burns for mission, and we see many people saved and churches planted through our labor. We have witnessed a huge breakthrough with the Warai-Warai people on the Philippines. The gospel runs forth with all its power and people meet Jesus in a significant and life-changing way! Many young adults are saved and entire families experience their lives changed. In Ukraine we see the same thing happening; villages and cities are changed by the Gospel. The need in Zambia is great and therefore we are focusing our resources here, so that as many as possible may be helped. Ever since 1998, when Håkon Fagervik visited Easter Samar for the first time, we have worked among the Warai-Warai (nothing-nothing) people on the Philippines. We have a heart for the poorest, and with them we have really seen the transforming power of the Gospel. Our work is growing! We now run an orphanage with 20 children, and a home-based help for several others. It truly is amazing to see how these young ones from horrible conditions and circumstances have matured into strong and lively youths with a living faith in Jesus! Several hundred people are now involved with the six churches we have in the area. Our recourses are also spent through an outstretched work amongst the students in the city of Salcedo. In addition to our own work, we support the challenging work Happy Church is doing in the city of Ozamiz on the second largest island, Mindanao. They run several orphanages, a home for the elderly and a school for the deaf. In addition they have a strong engagement with the poor. We are also one of the main financial supporting partners of the work the local organization Jireh Mission runs outside the city of Davao. The first time Håkon visited Ukraine was in 1991. Ever since we have seen our work and investment here grow in many ways through several parts of Ukraine. Our main work is concentrated in the city of Zhmerinka, and the villages surrounding in the region of Vinitza in central Ukraine. Ukraine is a country with enormous needs. Because of this we are engaged on many arenas; from planting churches, houses of prayer, orphanages, rehabilitation facilities, home for the elderly and agricultural training. The Gospel just fits perfectly in this poor country. 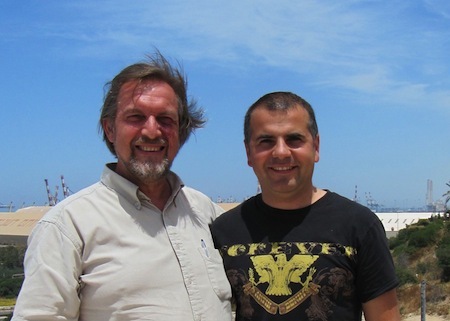 Over the years we have evangelized mostly through tent meetings in Ukraine. As of today we own two tents that we have received as a gift from Norway. Many have been saved through this tent ministry, and they are still active in the churches around where we have been. In 1999 we were able to purchase an old hospital with beautiful surroundings were we have founded a house of prayer. This place is a great blessing to many, and has become a center of power and renewal for christians from many churches around the country. It has been renovated with a high standard, where the atmosphere is marked by prayer and worship. Many of the seniors in Ukraine are not doing well. Every winter many simply freeze to death. We recently founded a home for the elderly, and are working to expand to have room for several more seniors in the future. Substance abuse has a strong hold over all of Ukraine. Families are suffering, women are being mistreated, children grow up with violence and insecurity, and the country is withering under the curse of alcohol and drugs. Second to prayer and evangelizing, the most important work we do is to help the newly saved on the road to a restored life. This has an amazing effect on entire families as they often meet the Lord through the salvation and redemption of a mother or a father. Nordic Mission has two rehabilitation centers in Ukraine. The results from this work is amazing. About 100 kilometres north of the capital Lusaka lies Chisamba. We cooperate with an organization called Redemption Harvest Churches located there. They run a pre-school with about 60 children attending. We have opened a house of prayer that is much used. The church counts around 80 adult members. We have started a project to secure clean water for the area, and also an agricultural training project that focuses on renewed cultivation of the land, pig-breeding, and in the future a place for pisciculture. Already available is a building to house some of the 1200 orphans in the area. HIV and Malaria has demanded its victims. A place for vocational training is also arranged. As a start we offer training in tailoring for girls and carpeting for boys. The plan is to host the vocational training in the pre-school’s building and with the pre-school teacher. Illiteracy is common. We also have a goal to establish a small health station. There is no electricity in the area. We are working to install alternative solutions like solar panels. In Kenya we are supporting the House of Prayer that Jesse Karanya has built up in Nakuro. The House of Prayer has been compelled to pray for Norway, and they have a specific place dedicated to pray for our nation. Jesse has been several times in Norway. We started our work in Latvia quite recently. In the spring of 2012, we started Family Aid in the capital, Riga, where we are helping poor families every month with food and clothing. We are cooperating with the church «Word of Thruth» in Riga, and through their social work they are providing necessary items monthly and giving it to the families. We are visiting them regularly, and we make sure to see these wonderful families. We are joining the church during meetings, visiting the families, and finding troubled families. We are praying for them and helping them as much as we can. Do you want to support a familiy? Contact us, and join us in helping the poorest of the poor in eastern Europe today. We are supporting two ministries in two cities under the organization «Voice of Judah», which is the network of pastor Israel Pochtar. Through this ministry we are supporting two pastors in two cities. One of them, A.R., is pastoring a church in the city of Ramla, and they are working the the city Lida (Lod in biblical times). 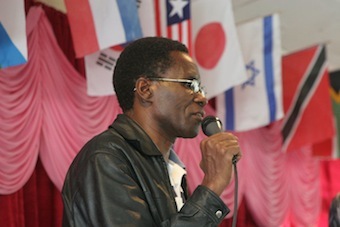 The other pastor, E.M., is pastoring a church in the city Kiryat Gat, which is the city of Goliath. Nordic Harvest Mission has an exstensive aid work, especially in Eastern Europe and the Philippines., were Norwegian families are taking responsibility for poor families thorough the Family Aid. Many families are suffering, and has no money to even buy food. By giving 200 NOK/month you can help someone to a new and better situation. People will thank God for your existence. How can you be part of the Family Aid? You will receive a photo of «your» family with names, age and residence. You will be billed two times a year, and you will receive information and new data. You can stay in touch with the family, write letters and send them photos from Norway. All money received goes through churches in the field, and some places families are provided with food and necessary items, to make sure money are spent wisely. In some cases, we are also supporting students, who would otherwise not be able to attend school. When some are no longer in need of support, you will be notified, and will be given the choice to support a new family.